The backing band sound like Bill Haley's Saddlemen! D'oh! "Boddger man strikes again"! thanks to everyone who pointed out my error, Will sort out the correct audio file sorry for the confusion. WPWA is now a Spanish language station broadcasting christian programming. I tuned in and had a listen http://www.wpwa.net/. I couldn't understand much, but the music was pleasant. 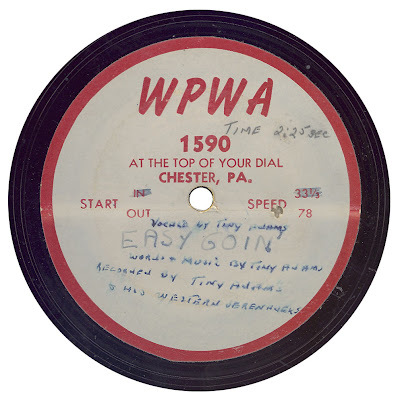 It's a long way from the days when Bill Haley was disc jockey and promoting his country music on its airwaves and when this acetate was probably cut.